Higher sewage costs due to excess solids in your waste water. *Source: http://drinc.ucdavis.edu/dairyp/dairyp8_new.htm Plus, in addition to the charge for excess BOD, surcharges may also be made for excessively high levels of COD, TSS, FOG and TKN. “We had no idea that our old timer based method was wasting an average of $63.93 per day in profit or $16,621.80 annually after payback. “ -- Southeastern US Ice Cream Manufacturer BOD/COD related sewage cost and excess water cost, once viewed as a normal operating cost, have become something every profit oriented manager must optimize. Steadily rising sewage rates and even brand reputation in our environmentally conscious market place mean waste loads can have a significant impact on operating profit. Switching from ineffective conductivity only monitoring to leading turbidity sensor for the dairy industry, the Anderson Instrument ITM-3, can drive your profit higher, enhance your brand. 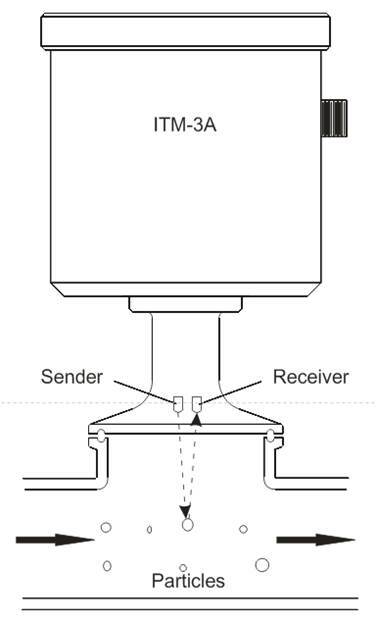 Being able to divert automatically and consistently at the optimal time using Anderson Instrument ITM-3 turbidity sensors can give you the confidence and conviction that you are enhancing your balance sheet while minimizing your waste water related expense. BOD load is a valid measure of dairy process inefficiency and product waste. Many municipalities determine sewage fees for industrial users by measuring the BOD load in the plant’s waste water. The fundamental objective is to send high load BOD waste water to a recovery tank/system and low load BOD out to the municipality or plant waste water system. Many plants use conductivity measures to determine where to divert the waste water flow. The problem with this approach is that it often errors on the high side due to caustic chemicals presence in the waste water. This error leads to overloading the high BOD treatment system at the plant and often pushing the pH levels to unacceptable levels. The turbidity sensor allows instant and accurate monitoring of the media and product changeovers or CIP programs. During the phase separation of the media or during the start-up and emptying of the process, the media must be differentiated. The turbidity sensor can detect the instant a liquid media reaches a pre-defined specification, automatically switching media to its appropriate container, and thereby significantly reducing BOD costs in waste water. The infrared light is directed to the center of the pipe. This eliminates any potential variances caused by temperature, changes in viscosity, or build-up on the pipe. The measurements are always accurate and repeatable. The improvement oversight, time control or volume acquisition is immediate and consistent. Generally, the ITM-3 is easy to install because it is a fully-contained unit. It is extremely durable and rarely fails in the dairy environment. In the unlikely event of a failure you won’t have to wait long for a replacement sensor because the Anderson Instrument ITM-3 is always available. Which Turbidity Sensor is Best? Cost: Cost is always a consideration, and “more” isn’t always better. That 240mph Porsche might be fun, but it’s not going to get you back and forth to work any faster than your trusty Ford pickup. Always consider what you need along with the cost. Reliability and maintenance: What kind of glass does it use, and what’s the lifetime cost of maintenance? Does it contain an extension on the lens to keep it clean and free of build-up? Ease of installation and use: Does it contain one or multiple pieces that have to be installed? What control systems, electrical connections, and mechanical connections does it require? Does it contain an operator interface and an easy way to reprogram it for different ranges? 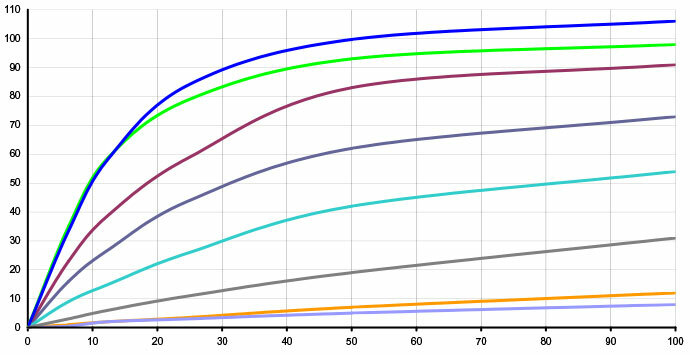 Output types: Does it contain a secondary output, such as a relay output in case you’d like to do simple automation without requiring a computer? Designed for Dairy: Has the product been adapted from other uses, or is it designed for the rigorous demands of the dairy industry? The Anderson Instrument ITM-3 provides the fastest ROI, costs 40% less than comparable products, and is the only turbidity sensor designed with 80+ years of dairy experience for rigorous demands of the dairy industry. We guarantee no other product on the market in 2014 can outperform the ITM-3 in accurate detection of phase transition for product optimization, CIP optimization and BOD mitigation. The vast majority of Dairy process control integrators insist upon the Anderson Instrument ITM-3 turbidity sensor in their designs because nothing works better, is more reliable, and is more accurate while providing the best value. 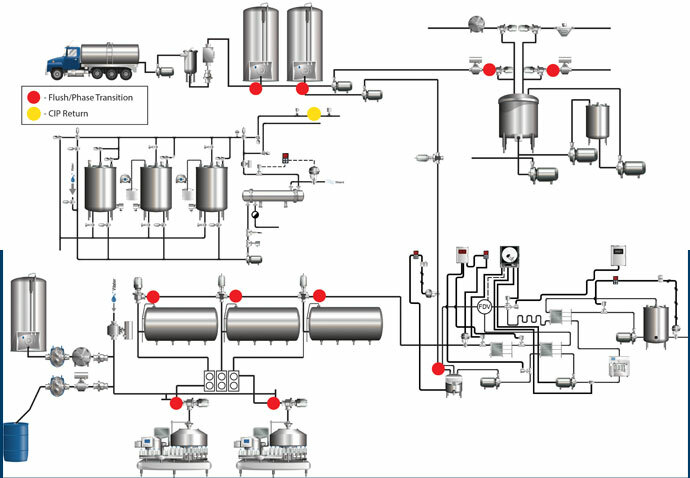 Speak today with your dairy process control integrator or your Anderson Instrument Regional Sales Manager to confirm that the Anderson Instrument ITM-3 is right for your situation. You can be using the ITM-3 in as little as three to four weeks, quickly reduce your product loss, and begin seeing a return on your investment within a relatively short time. The Anderson Instrument ITM-3 is the easiest turbidity sensor to install and implement. Using the Anderson Instrument ITM-3 is the fastest and most reliable way to reduce product waste and increase your profits without changes to your production process or product mix.